A diagnosis of dementia (whether generalized or related to other diseases like Parkinson’s) or Alzheimer’s is frightening, and also causes stress and uncertainty for loved ones. No diagnosis exists in isolation, and potentially dozens of other people may be affected when a single person’s need for memory care is confirmed by a doctor. How do spouses, children, siblings, and other people closest to a person living with Alzheimer’s or other type of dementia cope with this new reality for their loved one? You will naturally have many questions, and you may even experience a sense of grief as you would with a loss in your life. The key is to know what to do to best support your loved one (and yourself) through this difficult time. The good news is that there more resources now than ever for memory support and care needs of persons living with dementia, as well as assistance for caregivers and loved ones. Especially with Alzheimer’s disease, which is a specific degenerative brain disease and most common form of dementia across the world today, a confirmed diagnosis can shock family members and friends into experiencing grief just as powerful as if their loved one had died. Recognizing the stages of grief is essential, as these emotions can cloud judgment and affect relationships, though they are also valid and must not be ignored. You may feel sad, angry, guilty, or even hopeful that the doctors are wrong and your loved one will “snap out of it” – everyone experiences grief and loss in different ways, and that’s perfectly normal. 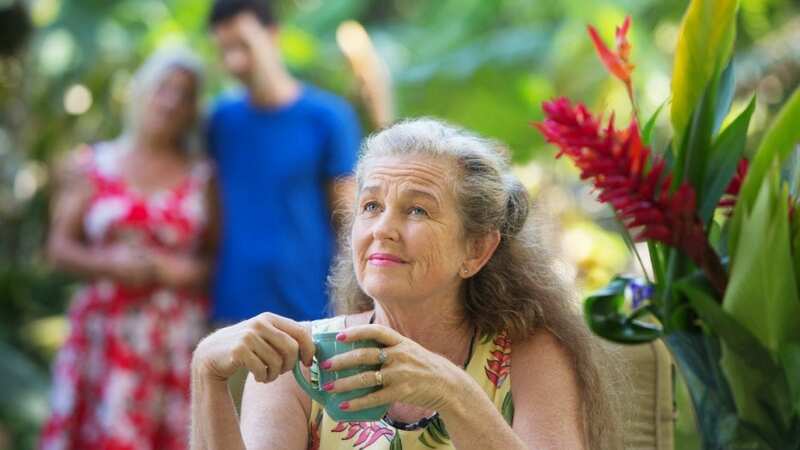 Seek counseling, or connect with support groups in your local area; (the national non-profit Alzheimer’s Association can help you locate these resources). Homestead Village also hosts a caregiver support group. Talk about your feelings with other family members who you love and trust. Realize that some people won’t understand what you’re going through – don’t take negative, callous, or judgmental comments to heart. Spend time with the patient doing things they love – don’t forget that your loved one is still very much in your life and don’t shy away from enjoying your time together! Unfortunately, even if you are doing well managing your own emotions and stress surrounding your loved one’s diagnosis of dementia or Alzheimer’s, you may be drawn into disagreements that arise between others. It’s true that life-altering events like disease diagnoses tend to turn up the heat on already-present family issues or create new conflicts between individuals or groups. Problems often arise between family members who physically live with or near the person and those who are not local. Communication breaks down, feelings are hurt, and those who are caregivers may feel overburdened and resentful toward those who they perceive could be doing more to help. Try not to get drawn into fights that don’t directly involve you, and seek to be a peacemaker whenever conflicts arise. It may sound strange, but taking a position of professionalism with the troublemakers among your family members is often a good strategy – pretend you’re in a work situation with the most challenging people and attempt to keep things civil for the sake of the “project” of caring for and loving the person living with dementia as best you can. If communication breaks down completely, you may have to seek remediation from an impartial third party, and there’s nothing wrong with that. For those who are particularly close to persons living with Alzheimer’s or dementia, such as spouses and children, it can be difficult to accept that your relationship will not be the same over time. Not only may your roles change within your family structure as children assume more “parental” roles over a parent, for instance, but your loved one may no longer be able to do things they were once relied upon to do within the household. Handling money matters and driving are prime examples of daily life activities that person living with dementia will eventually lose the capacity to do, and that will mean other family members need to take on potentially new and unfamiliar responsibilities. Especially in cases where the patient was always the one who handled bills, taxes, and financial obligations, others may need to locate records, checkbooks, and account information. And if these individuals never really handled money, there may be a learning curve regarding financial literacy. As we mentioned at the beginning of the post, there is a silver lining to the cloud of an Alzheimer’s or dementia diagnosis in the form of readily available resources and help for caregivers and other family members of patients. Some of the strongest of these options, which many may not yet know about, are retirement community-based support and services for memory care. Retirement communities have long offered a wide range of premium memory care services right on their campuses, and more recently, these communities have expanded into home care, as well. Here in the Lancaster, PA area, Homestead Village offers several high-quality residential options for full-time memory care. If your loved one is struggling with daily life at home, our memory care households at Gelhard House (personal care setting) and the Apostles Center for Care (skilled nursing setting) offer a positive change. And, we are also excited to announce that our new Harvest House Memory Support Center will be opening soon! This new household, which adds 13 private rooms to choose from, will serve residents with personal care needs in a compassionate and secure setting. Are you facing an Alzheimer’s or dementia diagnosis for a loved one and need help considering your options as you plan for the future? Let us ease your stress and uncertainty. Get in touch with us here at Homestead Village today for more information about Harvest House and our other memory care services.